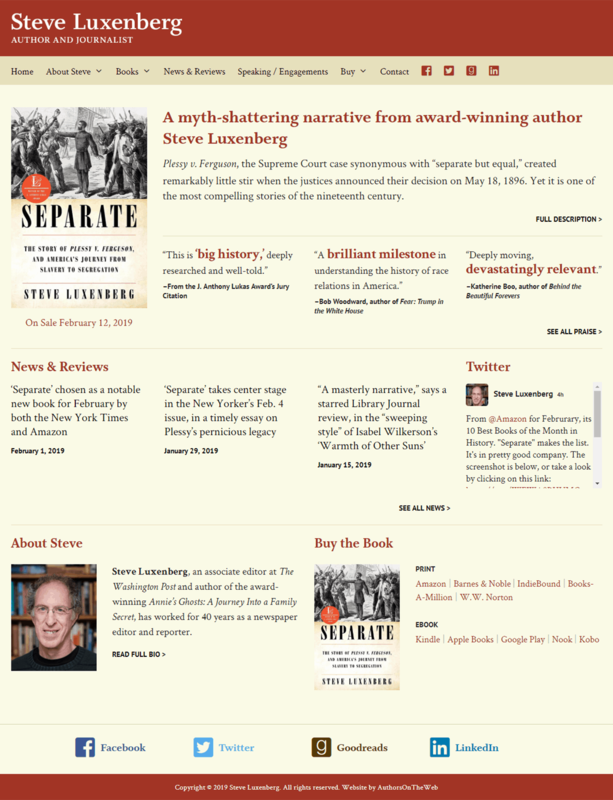 STEVE LUXENBERG is an associate editor at The Washington Post and an award-winning author. During his forty years as a newspaper editor and reporter, Steve has overseen reporting that has earned many national honors, including two Pulitzer Prizes. 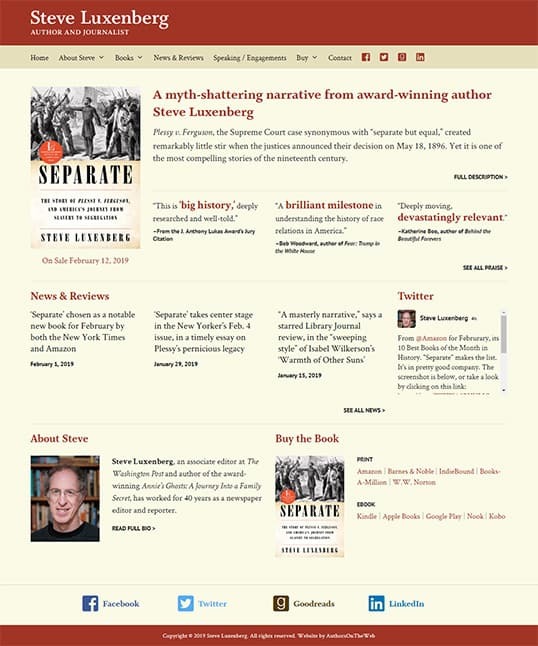 His new nonfiction book, Separate: The Story of Plessy v. Ferguson, and America’s Journey from Slavery to Segregation, will be published on Feb. 12, 2019. As a work in progress, Separate won the 2016 J. Anthony Lukas Award for excellence in nonfiction writing.